Grinders are power tools or machines used for grinding. They typically use an abrasive wheel as the cutting tool which cuts through small chips from the work pieces through shear deformation. If you’re out to buy a grinder, but are hesitant on what type, worry not – in this article we’ll discuss the two most popular tool grinder – the angle and bench grinder, and what their individual advantages are. But before we get into that, we’ll just mention where these tools are most commonly used: carpentry, flooring, blade and tool sharpening, painting, plumbing, mortar removal etc. As you can see, these tools are very versatile, and having a tool grinder in your tool arsenal is never a bad idea. 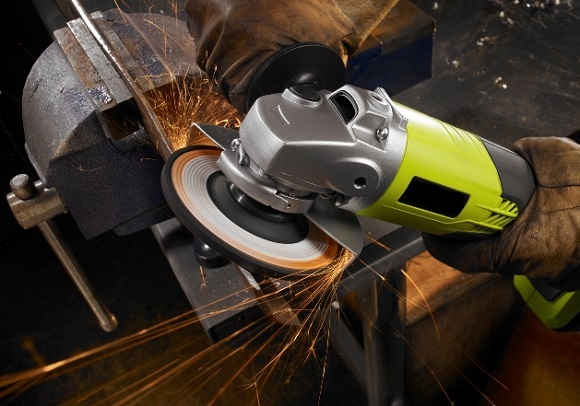 Now let’s get to the main point of this article – do you want an angle or bench grinder? Bench grinders are primarily used for sharpening, so if you have an object that you want sharpened, should get a bench grinder. Furthermore, they can be used for shaping and honing, and they’re often times used to remove burrs in castings. You can easily add different wheels on the bench grinder to increase its versatility. Depending on the type of wheel you use, you can polish, sharpen, shape or clean almost any type of metal. 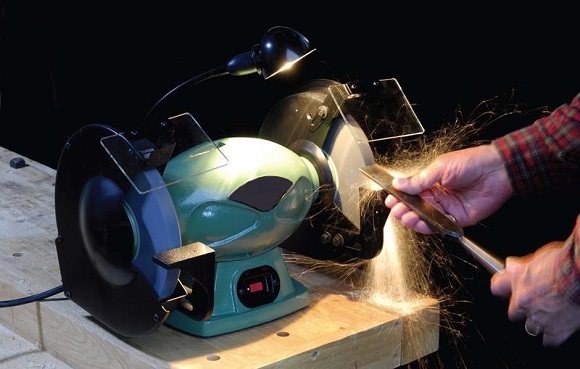 When buying a bench grinder you should consider a few things. Size, for instance is something that shouldn’t be overlooked. There are typically 6 inch and 8 inch models, and whichever you end up choosing should be durable if you’re going to use it on sharpening rusted objects or metals. The blade is the most crucial component of the grinder, so make sure you get a bench grinder that works best with the wheel you have in mind. Motor power is also something that shouldn’t be overlooked. The larger the motor – the stronger the grinder is. So if you work with rough surfaces or metals, get a stronger motor. Angle grinders are typically used to finish the grinding process in materials, constructing furniture and many other types of raw materials. It’s made up of glass steel which is used for grinding and cutting. It’s designed for easy handling, so when buying one, make sure the grip is comfortable and it’s easy to handle. Just like the bench grinder, it’s a multipurpose tool and can be used for many applications. For instance, you can use them as sanders just by putting a sanding disc with a backing disc or pad. Angle grinders are powered by either compressed air, a petrol engine or an electric motor. They consist of a gear head at a right-angle that has a mounted abrasive disc and an adjustable guard. Just like when buying a bench grinder, you should consider the motor power, disc size, speed ratings (this correlates with motor power) and the safety and comfort it provides.